Just as the first Mazda CX-9 did nine years ago when it arrived, this new second-generation redefines expectations. 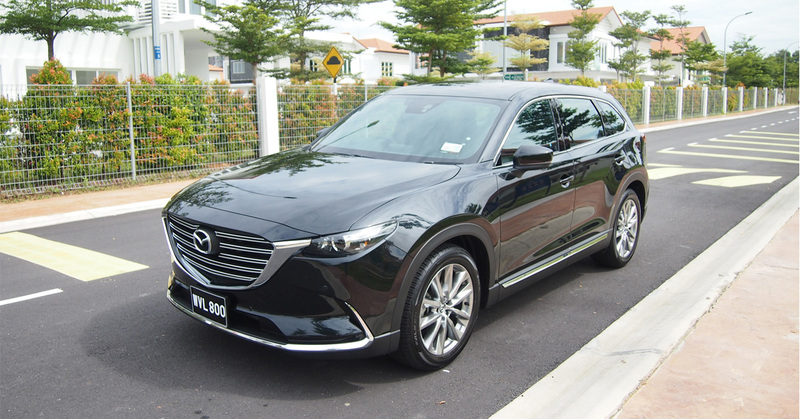 This 2016 Mazda CX-9 is lighter, shorter and more economical than its first-generation predecessor that has been on the market for the past decade. The all-new 3-row sports SUV becomes the final vehicle in the Mazda lineup to receive the full SKYACTIV efficiency treatment, starting with its powerplant. Gone is the Ford sourced 3.7L V-6, replaced by a 2.5L twin-scroll turbocharged I-4, the company’s first application of a petrol-turbo engine. Horsepower drops by 46hp to 227hp with the I-4 compared to the outgoing V-6, but torque is up 54Nm to 420Nm, all available at just 2,000 rpm. Burning premium fuel increasing horsepower to 250, but torque remains the same. 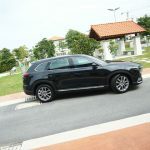 At 5065mm long, this new CX-9 is 30mm shorter than its predecessor, but its wheelbase has been stretched 55mm, benefiting passenger leg room as well as entry to and exit from the rear. 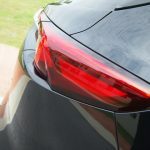 This CX-9 carries shorter overhangs on both ends 59mm shorter up front and 25mm shorter in the rear—with its A-pillars pushed back 100mm, lengthening its bonnet and “adding a sense of strength through proportions”. Overall, this front-drive CX-9 is 90 kg lighter than the first-gen model and Mazda says NVH is down 12% at 100 km/h. 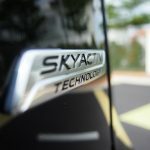 Mazda says the net effect of SKYACTIV power and weight savings is that only 18hp is needed to maintain 88 km/h – a 4-hp reduction compared to the previous model. The vehicle also requires far less downshifting to attain maximum power at highway speed. 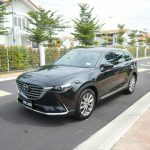 The new CX-9 appears smaller than one might expect for a 3-row vehicle, due in part to its flowing styling that Mazda dubs Kodo – Soul of Motion design. This 2016 model at an overall length of 199.4 ins. (5,065 mm) is 1.2 in. (30 mm) shorter than its predecessor with shorter overhangs on both ends – 2.3 ins. (58 mm) in front and 1 in. (25 mm) shorter in the rear. 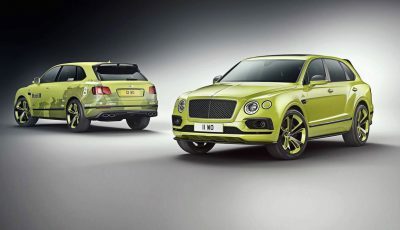 At the same time, the wheelbase stretches 2.2 ins. 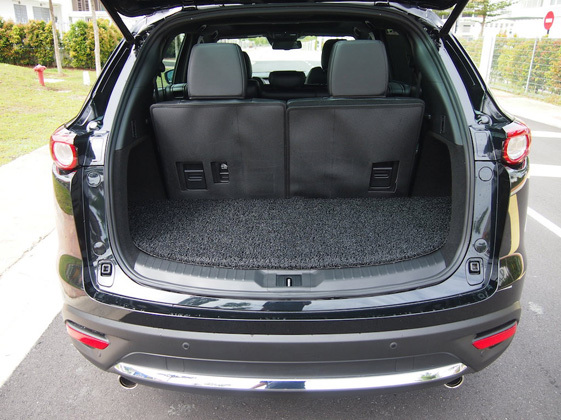 (56 mm), which aids third-row access and legroom and smooths the ride, while the A-pillars shift backward 3.9 ins. 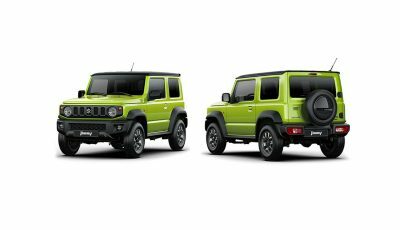 (99 mm) to give the hood more length and help balance the vehicle’s proportions. 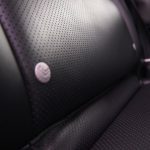 Inside, the CX-9 is available with auburn-colored Nappa leather, Japanese rosewood and aluminum in the flagship Signature trim level. 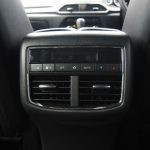 Safety features include a suite of automatic braking, active cruise control and lane-keeping assistance systems. From the commanding driver’s seat there’s an excellent view of the road down the bonnet. 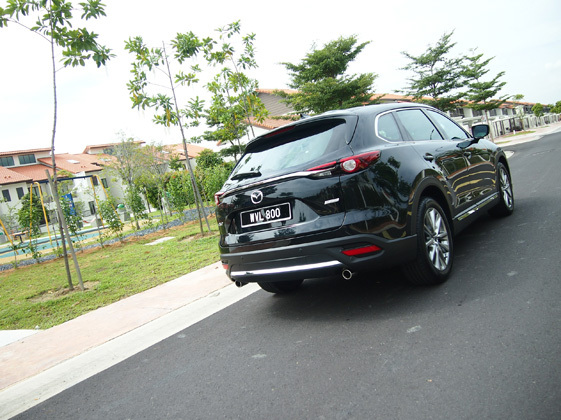 In fact, visibility all round is first rate and with sensors on both bumpers, parking this CX-9 is easy. 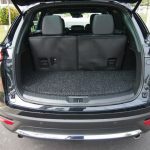 The well-shaped and supportive front seats are powered and drivers of most heights will get a very comfortable position. Mazda’s all new SKYACTIV-G 2.5 Turbo is very impressive on the go as it features a host of technological advancements to achieve this goal. 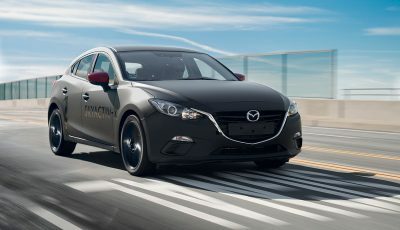 One piece of technology is Mazda’s Dynamic Pressure Turbo, the world’s first turbocharger with the ability to vary the degree of exhaust pulsation depending on engine speed. The system routes engine exhaust to the turbocharger’s turbine through smaller ports at low rpm. It works similarly to when one might place his or her thumb on a garden hose, creating a strong amount of pressure through a smaller outlet. This allows the turbocharger to spool up quickly, creating instant boost-up to 1.2 bar (17.4 psi) of pressure. When the engine is in the heart of its rev range, it opens up secondary valves, allowing for greater amounts of exhaust gas to pass through the turbocharger. The system is complemented by the 2.5-liter engine that already benefits from more torque at atmospheric pressure than a comparable 2.0-liter by virtue of its size. With an impressive 420Nm of torque at a low 2,000 rpm and up to 250 horsepower at 5,000 rpm this SUV does not lack in power delivery in all driving conditions. 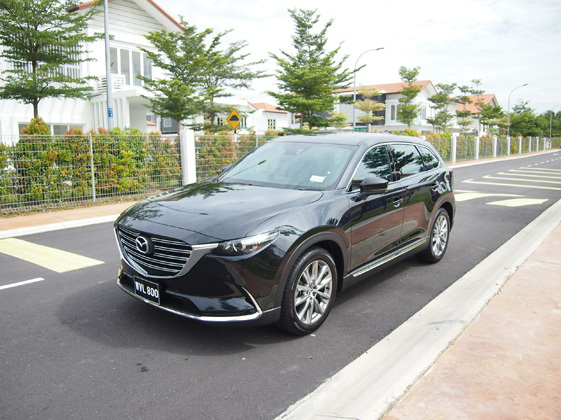 In city crawls or on the open highway, this CX-9 will provide the driver with more than enough power when called and the chassis will ensure good road handling. 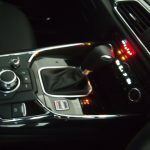 The 6-speed automatic features a Sports mode which allows the driver to override gearchanges manually using the selector lever. 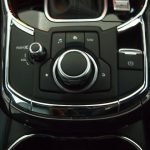 In Sports mode upshifts have to be made manually but downshifts are still made automatically as the road speed drops; first gear is selected for you when the vehicle stops. All shifts are very smoothly executed. 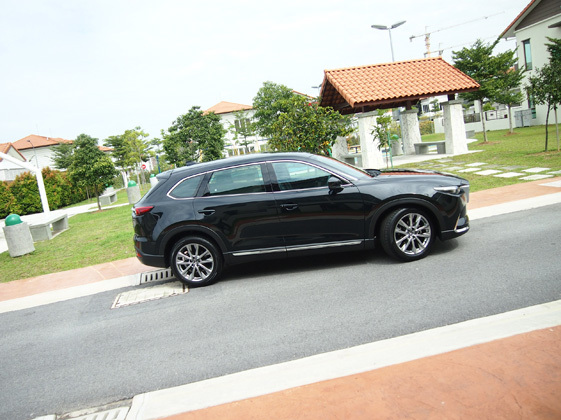 Despite this CX-9’s ground clearance there is minimal body sway when hustling along, even when pressing on along twisty roads as the suspension delivers first rate damping and good comfort. 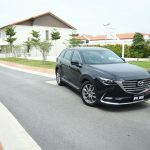 What roll there is, it is more car-like and this CX-9 feels secure and responsive from the driver’s seat whilst the cabin remains quiet and very well insulated. Three-point turns are accomplished without fuss, thanks to an excellent turning circle. Brakes are good and they never feel tired or lacking. 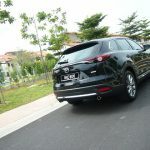 Mazda has been a leader in building safer vehicles and this CX-9 carries all their passive and active safety features. 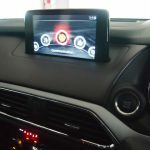 There is i-ACTIVSENSE, which provides active safety features like Mazda Radar Cruise Control (MRCC) and Blind Spot Monitoring (BSM). 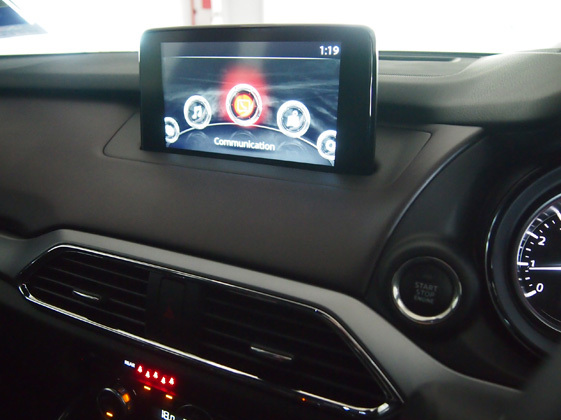 Mazda CX-9’s i-ACTIVSENSE suite features new and notable safety features, including: Advanced Blind Spot Monitoring (ABSM), Mazda Radar Cruise Control, Lane-Keep Assist System (LAS) and Lane Departure Warning, High Beam Control, Smart City Brake Support, Distance Recognition Support System and Forward Obstruction Warning. 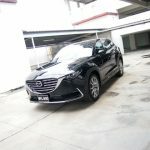 If this Mazda CX-9 is launched at the estimated selling price of RM250k, the immediate luxury SUV rivals like Lexus and Infinity will have a tough time convincing new customers. 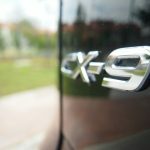 Take the CX-9 and compete it against the Europeans and the value proposition of this CX-9 grows when you look at the level of quality and refinement presented.